Updated: Jan. 18, 2019, 8:33 p.m.
A religious group widely known for its anti-gay rhetoric and demonstrations against slain U.S. soldiers at funerals has planned protests at six Gainesville churches on Super Bowl Sunday. First Baptist Church of Gainesville: 8-8:30 a.m.
St. John Baptist Church: 9-9:30 a.m.
First Presbyterian Church: 9:30-10 a.m.
St. Michael Roman Catholic Church: 10-10:30 a.m.
Grace Episcopal Church: 10:15-10:45 a.m.
Good Shepherd Lutheran Church: 10:30-11 a.m. The letter states Westboro has demonstrated in this manner for 28 years across the nation. Phelps-Davis asks that police provide security for Westboro members. Gainesville Police spokesman Sgt. Kevin Holbrook said on Friday that authorities are working to ensure order. “We never experience transformation by yelling at each other,” Higginbotham said in the video. Higginbotham asked parishioners not to engage the demonstrators and said congregants can enter through the rear door if they prefer. Kyle Gomez-Leineweber, president of the College Democrats at Brenau University who also works with the Young Democrats of Hall County, said groups like his and Indivisible Lumpkin, a progressive political group, are spearheading a counter-protest. Gomez-Leineweber said the groups filed applications Thursday for permits to rally. “We want to be at the church when they get there … and when they leave there,” he added. Zach Hoffman, pastor of Good Shepherd Lutheran, said he was familiar with Westboro and surprised they had chosen Gainesville and his church to picket. Hoffman said he hopes Westboro’s presence will be met with a peaceful response while showing kindness. “It’s forgiveness and love for thy neighbor that holds the church together,” he said. 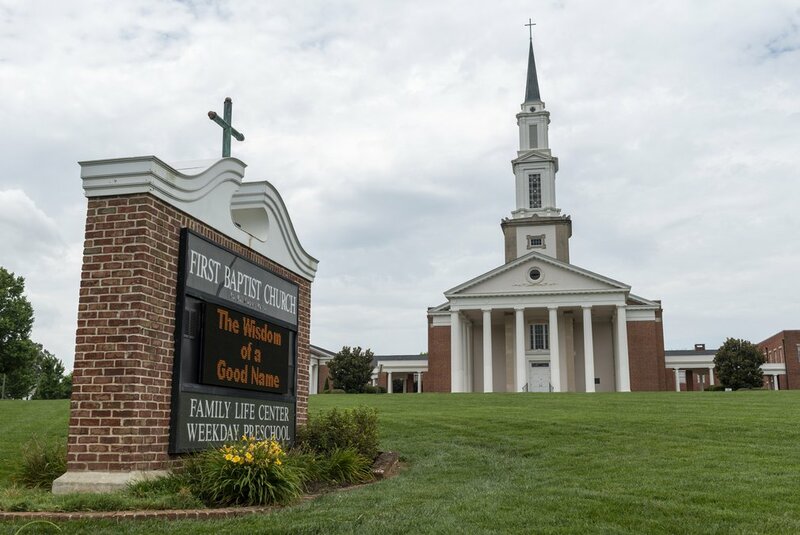 Hoffman said congregants should come to church as if it were any other Sunday, but acknowledged that Westboro’s presence is uncharted territory for local churches. Stephen Samuel, pastor of St. John Baptist, said he, too, was already familiar with Westboro and its actions. “You kind of keep up with that,” he said. But, like others, Samuel said he didn’t understand why Westboro had chosen Gainesville other than its relative proximity to Atlanta and the media attention the Super Bowl attracts. Westboro has sued and won damages against municipalities that have tried to ban their picketing or did not providing adequate security during demonstrations. Samuel said whatever the reason for Westboro’s visit, his congregation would not be turned away by their presence. “We’re not making any concessions,” Samuel said. “We’re going to be in church, literally having service. Sunday mornings are important for us. It’s what we do. It’s not going to disrupt us in that sense. Hall County Commissioner Jeff Stowe, whose district encompasses the city of Gainesville, said that while he respects freedom of speech and Westboro’s right to demonstrate, judgment ought to be left to God.